Data is an indispensable asset for many companies, so much so that they establish data centers to house the IT equipment that stores, manages, and disseminates it. As transactions become more reliant on digitized information, more data centers are established. In fact, the Data Center Journal reports that global data center infrastructure management will grow at a compound annual growth rate of 15% from 2017 to 2020. Such huge growth, however, comes with equally huge threats. Security teams work hard to prevent cybersecurity breaches that might jeopardize their operations. But digital threats are just half the story — data center managers also contend with people who physically break into the facility to compromise the data networks. So, even if your center has formidable cybersecurity plans, it’s possible for outsiders to access your facility, log in, and put your company’s data at risk. Facilities.net, a digital resource on industrial infrastructure, reports that it’s easier to break into a data system once one is in the physical facility. Trespassing into your data center enables an outsider to log in and extract information. Although these break-ins are uncommon, one incident can cause millions of dollars in damage. Financial Benefit – Malicious outsiders trespass into data centers and obtain information they could use to gain illegal profits. An example is identity theft, where hackers extract personal information to use to their advantage. According to a report by the Breach Level Index, 69% of data breaches in 2017 were cases of identity theft. Malice or Sabotage – Disgruntled, former employees are most likely to try and compromise or sabotage data systems, in varying degrees of severity. For example, Ahrens says they may introduce a virus into the server or simply disconnect the cables. Without destroying equipment, intruders with malicious intent can cause a lot of damage and get out of the facility quickly and easily. With strong, non-digital threats looming overhead, your data center should put a premium on physical security. Make sure you focus on the facility’s first line of defense: a high-security fence. Standing tall and strong, a perimeter fence deters intruders from entering your grounds. It keeps individuals with criminal intent at bay and keeps you, your employees, and sensitive data secure. It’s also a place where you can mount other security equipment that can deter or identify suspicious individuals. Apart from being a physical boundary, a fence also acts as a psychological barrier. As soon as people see the high-security gate, it signals that the other side is off-limits to non-employees. A perimeter fence grants your data center some privacy. Companies could commission fences high enough to limit visual access and shield day-to-day activities from outsiders. More importantly, a high-security fence gives you the peace of mind that your assets, employees, and clients are protected. Although you have a wide array of fencing materials to choose from, metal is the most popular choice. Wood fencing works best on residential properties and commercial spaces that want to give off a cozy vibe. In your case, however, a metal fence gives your data center a formidable appearance that could deter would-be intruders from carrying out their plans. Aluminum – Aluminum fences are durable and come in a wide range of colors and styles. They are unlikely to sustain damage from natural elements. They’re lightweight, so they cause less wear and tear on the hinges of the gates. Aluminum fences are usually more affordable than their wrought iron or steel counterparts. Wrought Iron – Wrought iron refers to iron that’s been heated and wrought into different shapes and designs. Clients prize the material for its aesthetic value. Apart from giving the grounds of your data center a touch of elegance, wrought iron fences also sport impressive durability. In fact, people use them as an alternative to chain link fences. Steel – Steel is extremely durable and resistant to heat and moisture. Its powder coating makes it resistant to corrosion, as well. The welding techniques that the builders apply during construction reinforce steel and make it nearly impossible to break. Before building a high-security fence, discuss your security concerns and the level of security you need with your fence builders. Decide if you want to install a high-security fence on the entire perimeter of the data center or just on its vulnerable sides. The height of security fences could range from four to seven feet. 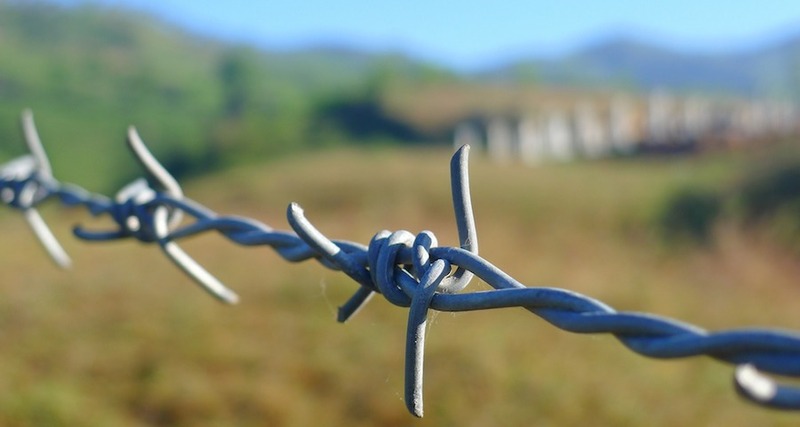 If you think your center faces high-risk concerns, consider adding top guards, which are barbed wires that are six inches apart and extend outward at a 45° angle. You could also consider adding pointed tips to the fences. Discuss other security features that you could add, such as alarms, surveillance cameras, and lighting fixtures with an expert. This way, the fence builders could make the necessary adjustments on the metal fences. Alarms – Consider motion detectors, door sensors, and breakage sensors. Access Control – Limit the access to crucial rooms to a select number of individuals. Bring in access devices that use multiple forms of authentication. Cameras – Install cameras that monitor the perimeter of the data center. It’s advisable to have pan, tilt, and zoom cameras along the outer edges of the building. You can also consider installing electric gates, bollards, and vehicle barriers. Your security team should require staff and guests to stop at the perimeter guard station. Since data is central to your business, you should invest heavily in guarding the servers that host it. Cybersecurity issues deserve your security team’s attention, but physical protection shouldn’t be an afterthought. Consider metal, high-security fences that would keep intruders at bay and increase your data center’s privacy. To get superior, high-security fences, work with a superior team. Contact A1 Fence LV today, and let’s discuss your new commercial fence.